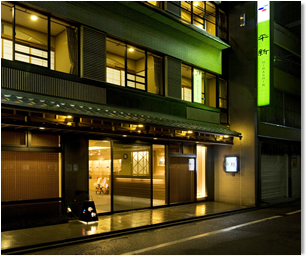 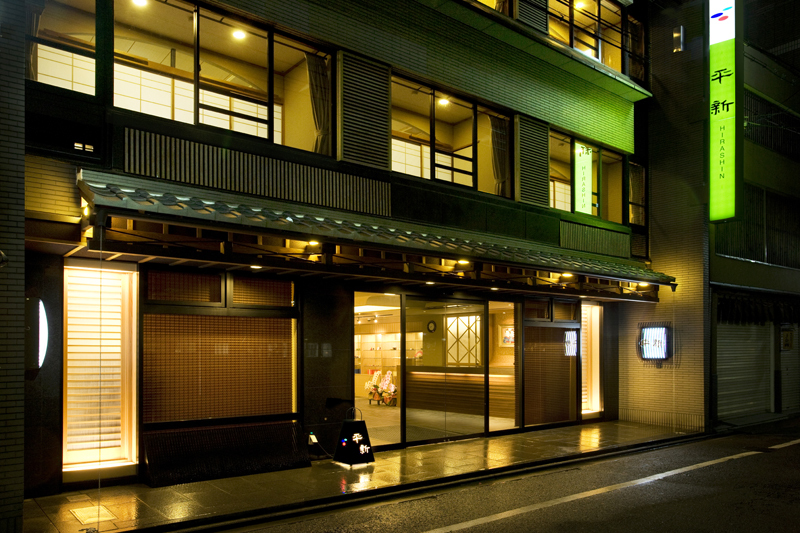 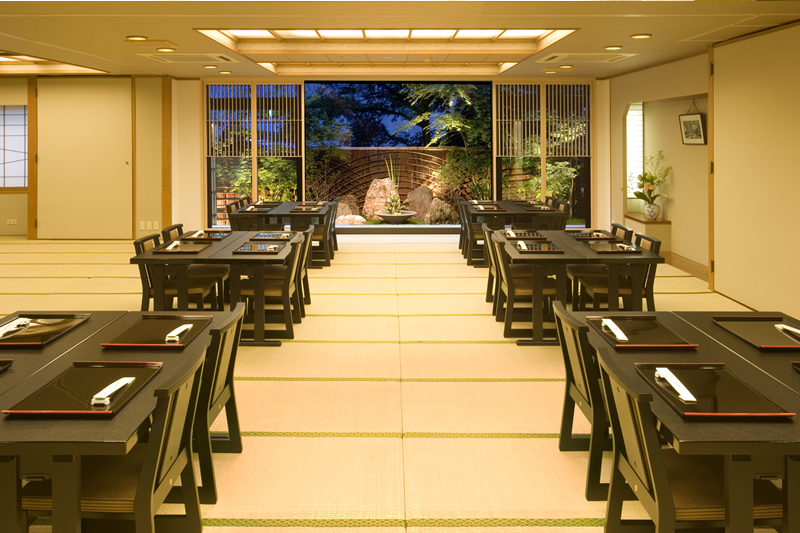 Outside view featuring ichimonji-gawara, traditional Japanese roof tiles, gives you a taste of Kyoto. 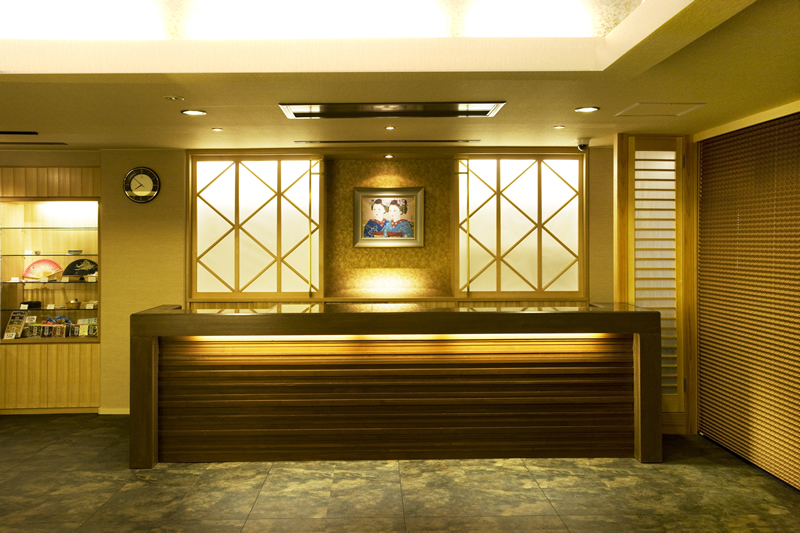 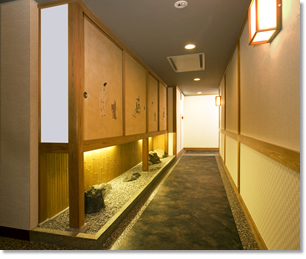 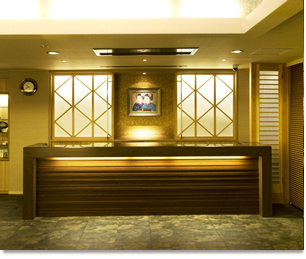 Front desk full of Japanese elegance with lattice doors at the back. 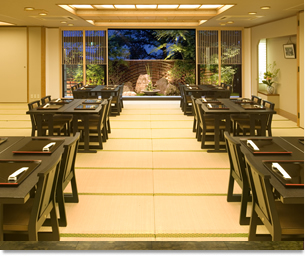 Plain wood furniture sets the basic tone while an elegant bamboo grove create a comfortable modern-Japanese atmosphere. 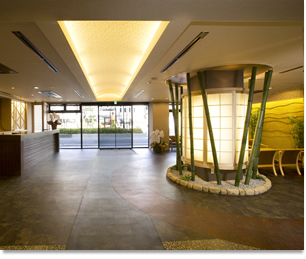 The lobby has two computers you can use at no charge. 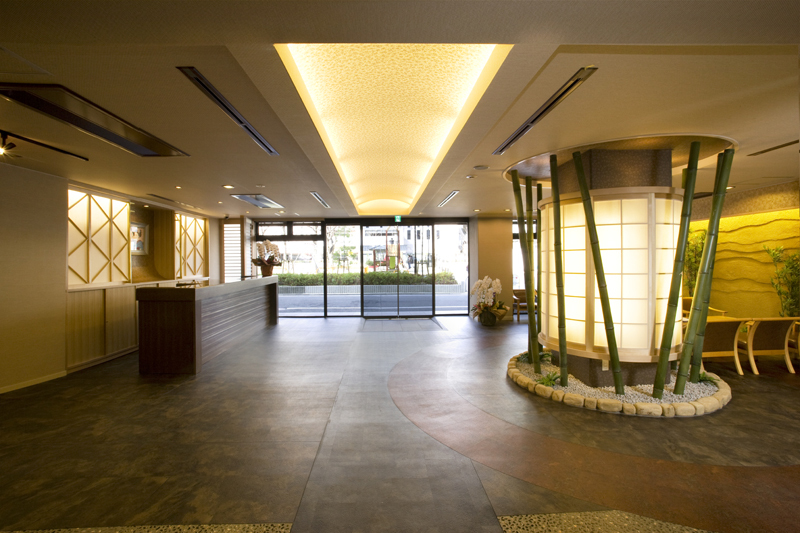 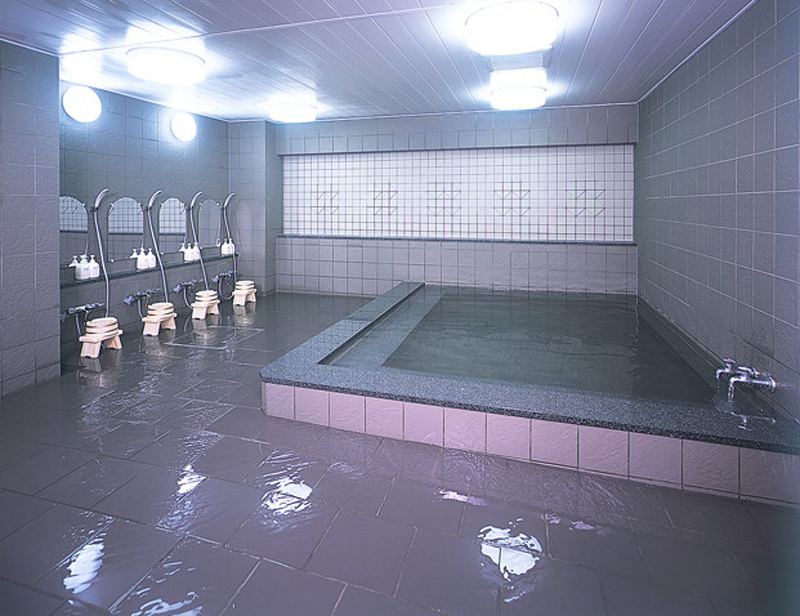 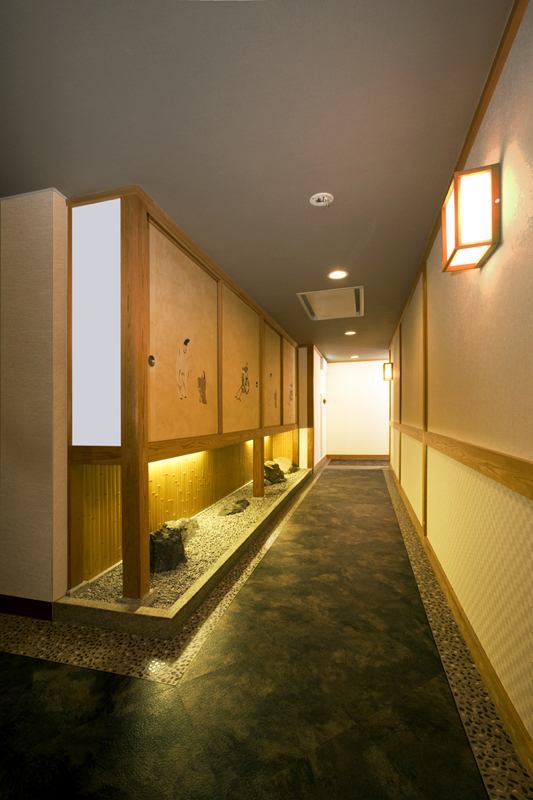 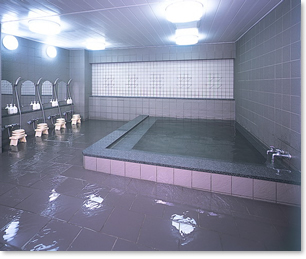 Tranquil space paved with stone-looking tiles. 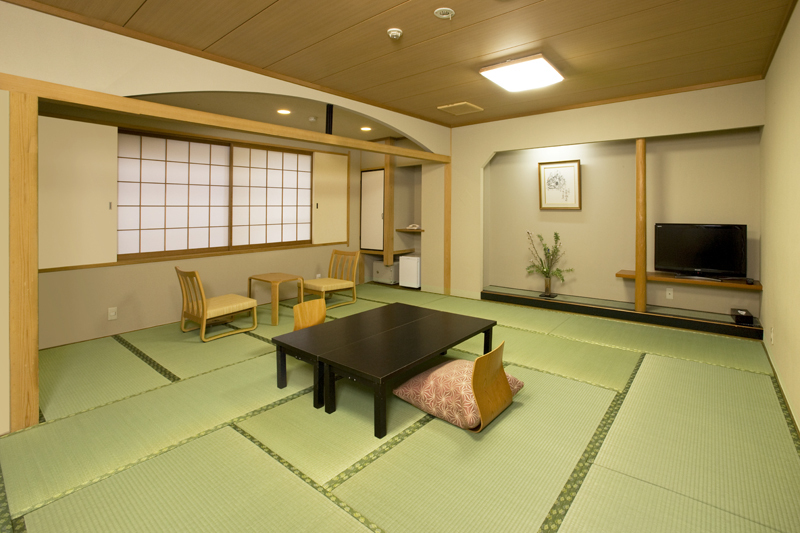 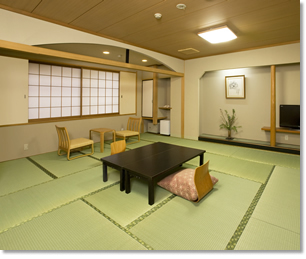 Japanese-style room measuring more than 10 tatami, about 18.24 m2. 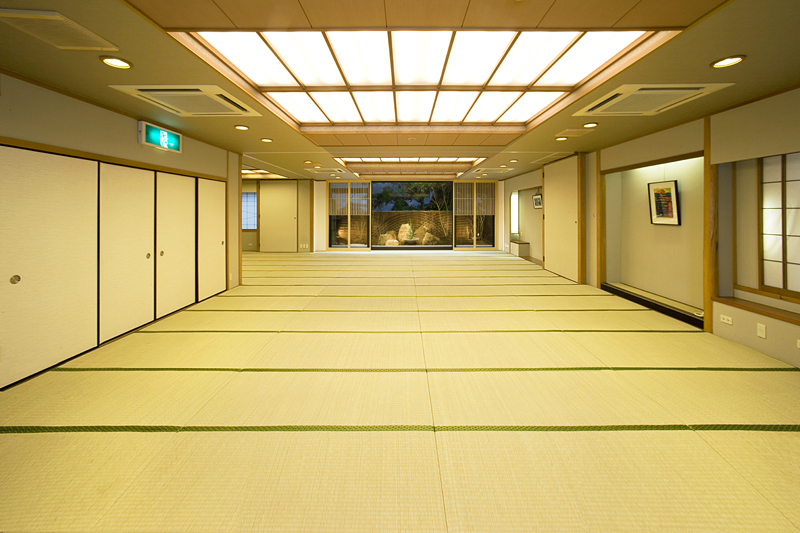 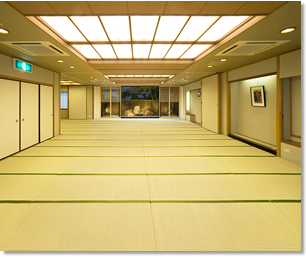 Banquet hall covering more than 120 tatami, or 218.88 m2, that can accommodate up to 150 people and be used for multiple purposes. 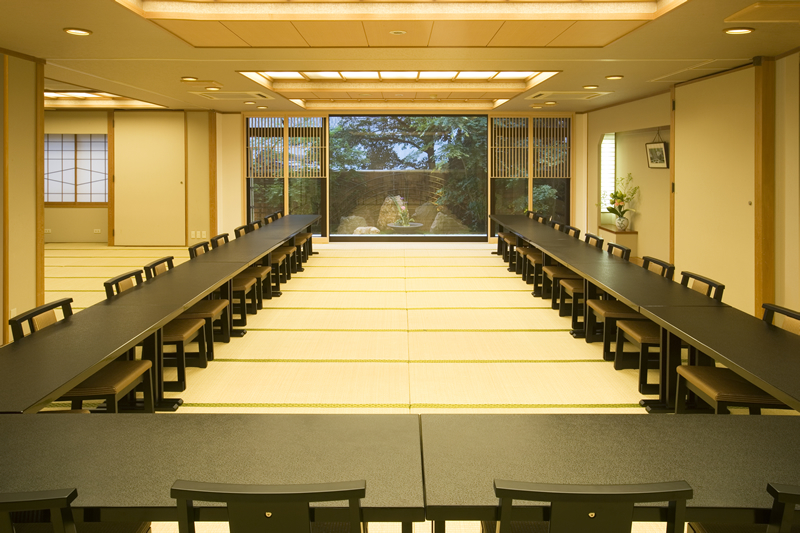 Chairs can be provided for breakfast/dinner. 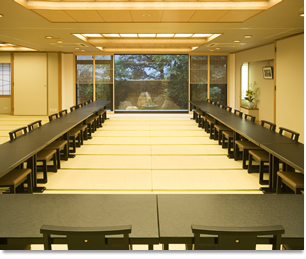 Business meetings can be held with seating for attendees. 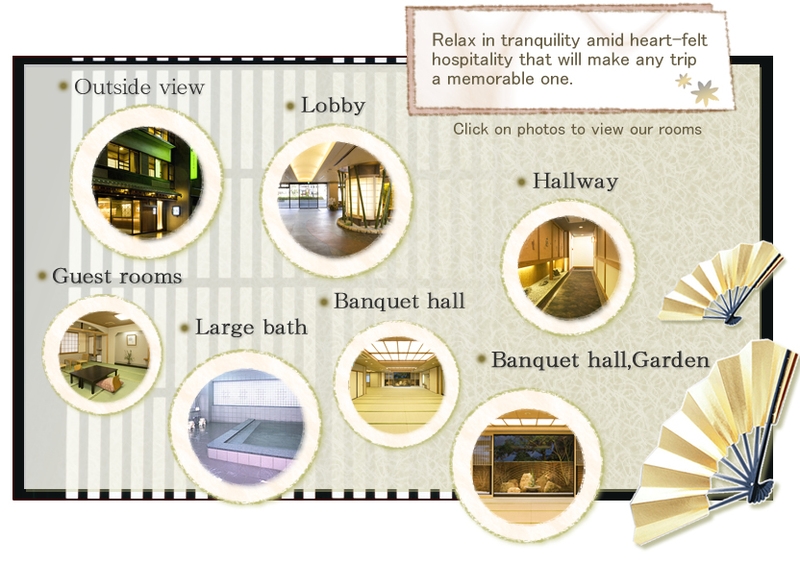 Garden located next to the banquet hall. 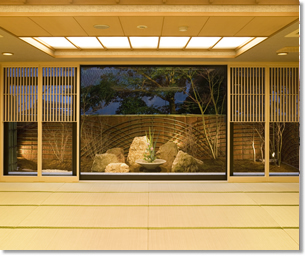 The garden has a karesansui-style dry rock garden; The Japanese character 心 (heart) drawn in white sand evokes the image of a river flowing, complement by a maple tree. 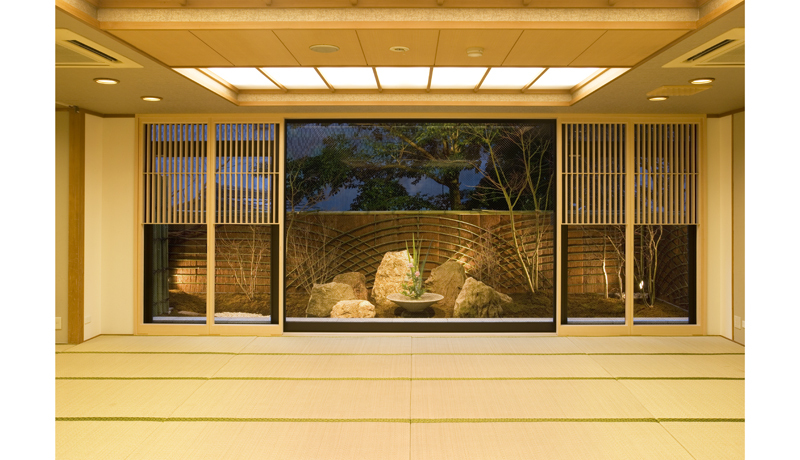 The garden also contains seven stones, representing the seven gods of good fortune.